View More In Thermostats & Accessories. This King BKT1BW-TP built-in tamper proof single pole thermostat for K-Series in white is made to accompany the K-Series baseboard heater and provide superior heat control.Flexible Hook UpDesigned to operate convection heating systems within the K-Series Kin electric baseboard heating systems, this thermostat provides quiet running heat and lets you choose the side of the baseboard heater you want to install this thermostat on. The King BKT1BW-TP built-in tamper proof single pole thermostat is designed for left or right mounting. Great HeatingThis King BKT1BW built-in single pole thermostat offers superior temperature and the perfect amount of heating. It's durable and reliable! The crushproof element ensures safe and effective, plus, it features a wide heat range.Simple Setup This King BKT1BW-TP built-in tamper proof single pole thermostat makes installation easy. The full length safety cutout and built-in cable clamps are designed for simple setup.For K-Series Baseboard Heaters The King BKT1BW-TP built-in tamper proof single pole thermostat is made to accompany the King Electric K-Series baseboard heater. 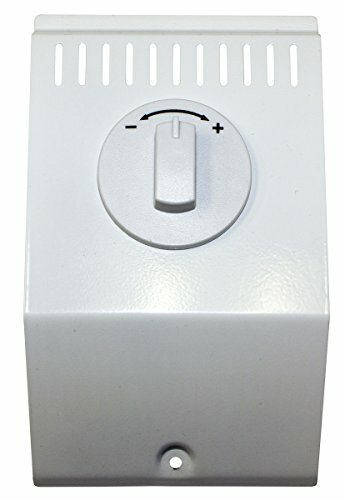 This thermostat connects to the heater for superior temperature control. If you have any questions about this product by King Electric, contact us by completing and submitting the form below. If you are looking for a specif part number, please include it with your message.